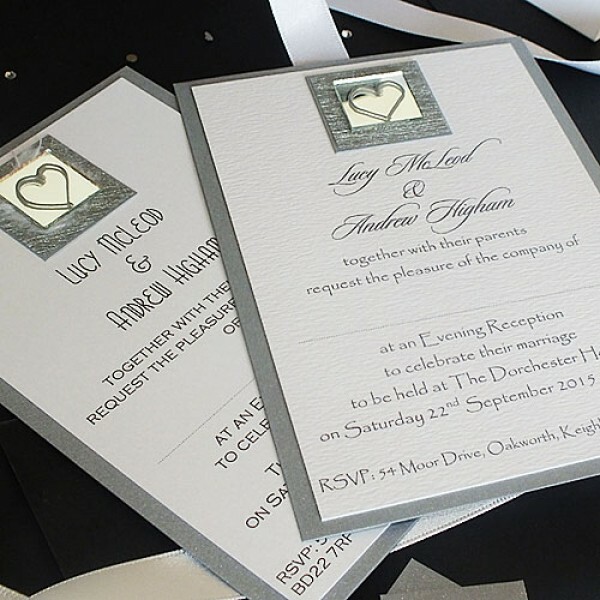 The LIATH wedding stationery range is a contemporary design featuring a stunning mirror tile hand-painted with a silver mirror and wrapped with wired silver plated beads. The names of the bride and groom and the wedding date are printed on the front. 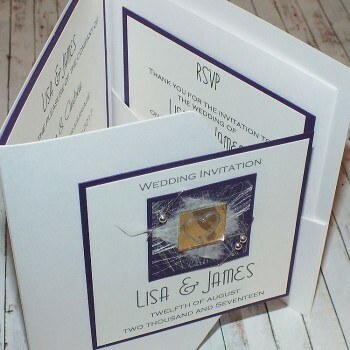 Shown here in purple, the design can be made in any colour scheme. 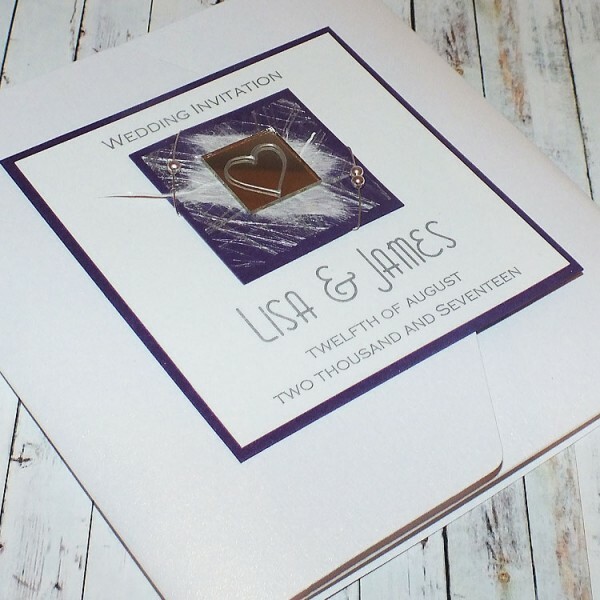 A full range of items is available to match the Liath Wedding Stationery Range , including evening invites, orders of service, menus, place cards etc.